The International Space Station (ISS) launched in 1998. 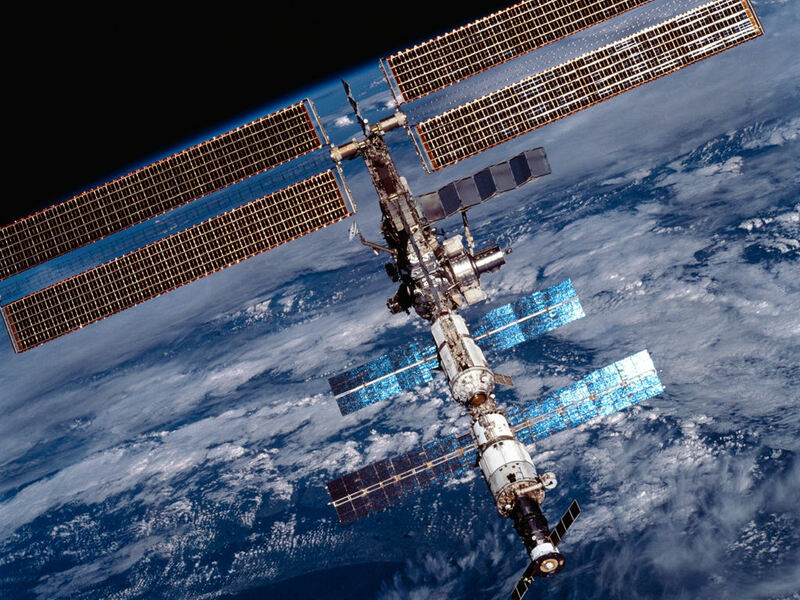 The ISS programme is a joint project among five participating space agencies: NASA, Roscosmos, JAXA, ESA, and CSA.The ISS consists of pressurised modules, external trusses, solar arrays and other components. The station is divided into two sections, the Russian Orbital Segment and the United States Orbital Segment, which is shared by many nations. ISS components have been launched by American Space Shuttles as well as Russian Proton and Soyuz rockets. The station is serviced by a variety of visiting spacecraft, and it has been visited by astronauts and cosmonauts from 15 different nations. The ISS serves as a microgravity and space environment research laboratory in which crew members conduct experiments in biology, human biology, physics, astronomy, meteorology, life, sciences, physical sciences, materials science, and space weather. 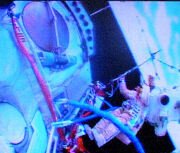 The Station simplifies individual experiments by eliminating the need for separate rocket launches and research staff. After the Space Shuttle program ended in 2011, Soyuz rockets became the only provider of transport for astronauts at the International Space Station, while Dragon (commercially-built and operated spacecraft) became the only provider of bulk cargo-return-to-Earth services (downmass capability of Soyuz capsules is very limited). The ISS maintains an orbit with an altitude of between 330 km and 435 km by means of reboost manoeuvres using the engines of the Zvezda module or visiting spacecraft. It completes 15.53 orbits per day. 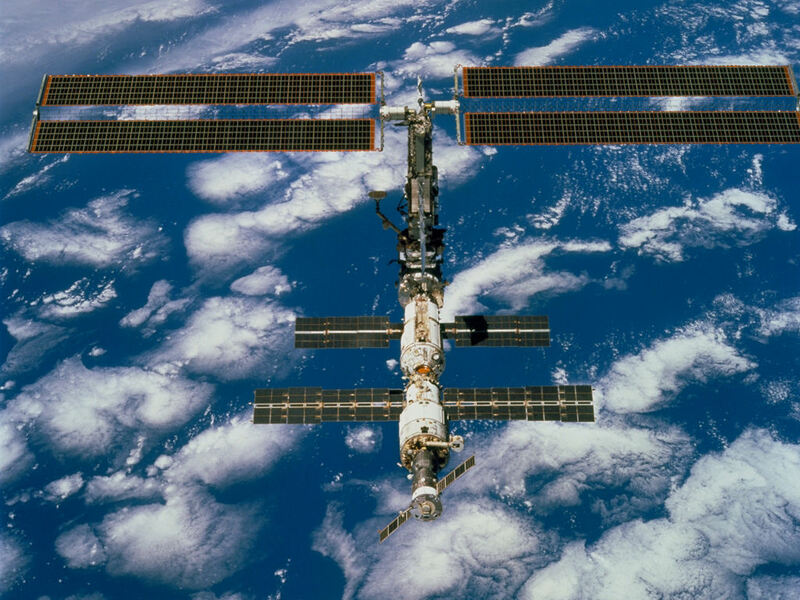 As of January 2014, the US-portion of the ISS was funded until 2024, and may operate until 2028. The Russian ISS program head, Alexey B. Krasnov, said in July 2014 that "the Ukraine crisis is why Roscosmos has received no government approval to continue the station partnership beyond 2020." The SGF Co. Ltd. participated in the onboard software development for the Plasma Wave Complex (PWC) and developed its EGSE. PWC measures the interaction with space plasma, charges and noise of active experiments influence to investigate these problems.